After I put up a picture of my hair on a very good hair day, some of y'all wanted to know what I did to it. 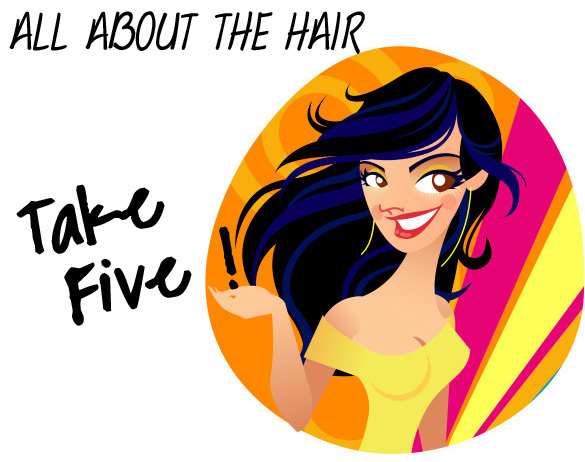 Because I feel really weird about a writing a post called - My Hair Care Routine; I called it 5 Easy Steps To Shiny Soft Silky Hair (My). Its all good, coz God forbid somebody sees me on a super bad hair day , I don't want them going - "Uh-Oh I don't want no hair care routine tips from that !" This is all what I do and has worked well on moi. The night before I always ( well, mostly) apply coconut oil to my hair. I massage it into the scalp and then liberally spread it until every strand is dripping of coconut oil. And then I change my pillow case into an old ratty grey one and go to bed. I read some where that American women are not very keen on pre conditioning treatments. No No women, they make all the difference. Take it from this professionally non-professional Indian Girl. The next day is shampoo time. Currently I am using Pantene. Pantene has worked well for me since I was teenager and I'm glad its cheap. Use required amount of shampoo , work it into good lather and wash it off. I don't let the shampoo stay on my hair for long. It dries hair out - any shampoo does this. So, its a short shampoo ritual. After shampoo its time for conditioning. I use what ever is available. Currently I am crushing on two products - both under $10. Will tell soon. After washing the shampoo off, I gently squeeze out excess water from my hair - Very Important. If there is too much water the conditioner just gets washed down along with the dripping water. Use a wide tooth comb to spread it - Very Very Important. I use a brush but it is NOT recommended. My hair is always more softer and less frizzy when I use a comb to spread the conditioner. Always. I get best results when I let the conditioner stay on for at least five minutes because there is a lotta hair to condition. After 5 to 8 minutes of soaking my hair in conditioner, I rinse it off with warm water. After the warm water has removed all the conditioner off, I follow it up with a cold water / not so warm water rinse. Been doing this since I was 16 / 17 . I read in a women's magazine (that I was then not allowed to read) that its good to give the hair a final cold water rinse before you send it packing in a towel. And I've done it ever since. I like doing the cold water rinse because it cools down the scalp and when I wrap it in towel, I don't have the hot steam coming drying my hair. b. I get restless and wash the conditioner off in two minutes. c. I assume its been long and wash the conditioner off in one minute. d. I start taking care of the hair on my legs with shampoo on my hair - perfect recipe for dry hair. e. Hair is in dry mode for no apparent reason. Now gimme your tips for great hair ! We all wanna hear from you and wanna know more and more and more ! The French Braid - Anything I can do, you can do better ! The Snake Braid - Do It Today ! The 30 Second Romantic Hairstyle - 30 seconds or your money back ! No Guarantee. I have been meaning to share this secret (is it a secret?!) since a month but didn't get around to it. Replying to this post is the PERFECT time. So, I recently bought Burt's Bee Grapefruit and Sugarbeet Shampoo and Conditioner; I wanted a natural shampoo and burt's bee really covered all the bases as far as natural goes. So, of the three different types of shampoos they have, Grapefruit was the only one I could stand the smell of. Boy, let me tell you, they work SO AMAZINGLY!!! They are all natural and smell amazing and just like they claims, leave my hair super shiny and SOFT!!!! I love it and I highly recommend it, especially if you want to avoid putting in parbens and sulfates and all those harmful chemicals in your hair. 10 Stars from me! Sorry I wrote you a novel but I am so excited and I hope you try it. Please share your take on it if you do use it. u r so lucky to have such butifull hair! im so jealus of u!!!! !LOL i have really bad hair ( i mean bad)extermely frizzy, dry and curly!! Novels are great ! I read a lot & I enjoyed reading yours ! Thank you for the tip. I will give it a go ! Actually i bought a small travel kit , lemme check it there is the grapefruit shampoo in it ! BTW, I think you should do a post on Cleopatra eyes or makeup. I was Cleopatra for Haloween, and cannot get over how awesome i looked!!!!! Woah ! Cleopatra sounds awesome ! You should totally share the look with us ! I think all Indian girls follow the ritual of oiling a night before. Till your teenage, your mom does it for you. :) I still aks my mom to oil my hair whenever I go home. I sound it very surprizing that the oil ritual is mainly followed by Indian women. I have dark black and straight hair.And as you said, I would also like to say: "Mom, Dad - yes I am proud of the hair - Thank you." The conditioning tip was great. I always end up assuming after a minute or two that my hair must have got enough condition by now. :P Will try not to repeat it from now on. Very True . I wrote about the very thing a while back on another hair post. I have a really bad dry scalp... do you have tips for that? Indian girl, you forgot to include 2 imp details - how often do you wash your hair (I guess the oiling routine implies not daily)? Gr8 ! Yup, I've tried Tresseme in the past. Somehow it didnt work for me :( But I have friends who swear by it and have gorgeous hair ! I wash my hair twice a week. I oil it once a week. I shampoo only once. Twice like you said, makes my hair dry. I love to use the oil method, but I need to wash my hair almost each time I go to the gym which is about 6 times a week. My hair is still healthy with all the washing but its the blow drying part that kills me. Any tips on keeping the hair fresh after the gym so that it does not have to be washed so often? Have you tried the dry shampoo ? Its the only thing I could think of. Yeah hair dryer is a B**ch. Do you ahve a cold air option( not cold really just room temp) on it ? If you do I'd suggest using it or a real low heat one that a quick blast. Haha this post brought back memories, my mom used to make me go to school with my hair all oiled up and it was kind of gross. Ever since I moved out I haven't done it all because my face is REALLY prone to acne and I'm constantly washing my scalp at least twice a day with clarifying shampoo...if I don't my hair gets oily on its own. After I'm done I always put tons of conditioner on just the ends and then leave it overnight though. I use coconut oil from a brand called parachute ( a blue bottle)It is available at all Indian grocery stores. Im trying out theese tips right now and they seem to be working! And my hair is realy thick like extreme thick and its suuupppeeerr frizzy ALL the time! I hope this works! Thanks for the coconut oil tip! Fantastic product if your hair DOES get dry and frizzy from coloring or other abuses: JOICO K-PAK Reconstruct Deep Penetrating Reconstructor. TIP: After applying conditioner to my hair, I apply some to my legs for shaving to soften the hair and use the leg-care time for passing the time while I wait for my hair to condition. I use mostly the same method as you, except I read somewhere that warm water is not good for your hair. Maybe it works for you, but I like to wash my hair in as cold water as I can stand. It really helps keep it shiny. Here is what works for me. When I oil my hair the night before I shampoo it, I pour warm water on my hair till the oil spreads evenly. Then I towel dry my hair. Shampoo the hair next morning.... also condition it. It works most of the time. Olive oil mixed in with your conditioner. Use around 1/2 of each and massage thru your hair. Wait like a min then wash out. After constant use it with make your hair super smooth! AIMB Featured In A Book As One Of The 50+ Top Beauty Bloggers of 2009 / 2010 ! We Are On Mumbai Mirror !!! Receive AIMB Updates Via Email : Never Miss A Beauty Story ! 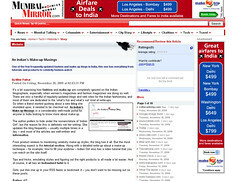 An Indians Makeup Blog by Indian Girl is licensed under a Creative Commons Attribution-Noncommercial-No Derivative Works 3.0 United States License. This blog is a personal blog written and edited by me. For questions about this blog, please contact Indian Girl at makeupgirl007@gmail.com. This blog does not accept any form of cash advertising, sponsorship, paid posts or paid topic insertions. None of the content is pre-approved by any person other than me. However, I will and do accept and keep free products from companies and organizations. Receipt of a product does not guarantee a review to be published on the blog.The receipt of a product will never influence the content, topics or posts made in this blog. All advertising is in the form of advertisements generated by a third party ad network. Those advertisements will be identified as paid advertisements. There are no affiliate links on the blog. Any links provided as part of a review are only for the benefit of the reader and are not advertorial. The owner of this blog is not compensated to provide opinion on products, services, websites and various other topics. 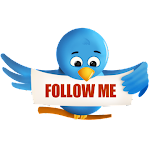 The views and opinions expressed on this blog are purely the blog owner's. If I claim or appear to be an expert on a certain topic or product or service area, I will only endorse products or services that I believe, based on my expertise, are worthy of such endorsement. Any product claim, statistic, quote or other representation about a product or service should be verified with the manufacturer or provider. All reviews are based on my personal experience. Individual experiences may vary.